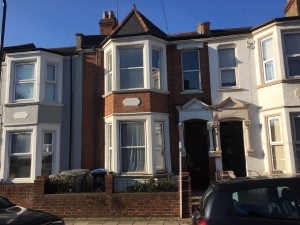 A well presented unfurnished two bedroom first and second floor duplex apartment set within this period style property close to local services and amenities. The nearest station is Cricklewood’s Thameslink. The nearest tube station is Willesden Green on the Jubilee line. Bus services operate routes from Cricklewood Broadway and Chichele Road. INVESTMENT OPPORTUNITY. 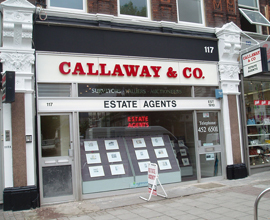 A period style terraced house set in the heart of Cricklewood converted into two self-contained apartments, each with council tax band C, independent central heating systems and with separate Energy Performance Certificates. The nearest tube station is Willesden Green on the Jubilee line. The closest train station is Cricklewood’s Thameslink service. A second floor furnished apartment set within this property close to numerous transport services and bars, restaurants and shops. The closest tube station is Kilburn on the Jubilee Line. The nearest station is Cricklewood’s Thameslink. The accommodation comprises reception area, bedroom/sleeping area, kitchen and bathroom/w.c. The apartment has the use of lawned communal gardens. A ground floor one bedroom apartment with further study/bedroom benefitting from a contemporary kitchen and bathroom, gas central heating and communal gardens. 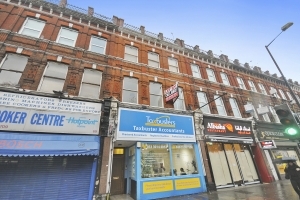 The property is located close to Cricklewood’s Thameslink station, as well as the shops and services of Cricklewood Broadway.